It is becoming increasingly difficult to keep up with what is going on with Apple and Samsung as they continue to battle it out with each other over the alleged infringement of various patents. We’ve already had the major trial and verdict in San Jose, with Samsung being told they are liable to the tune of $1.05 billion for breaching a number of Apple patents, as well as a Japanese court ruling in Samsung’s favor in a separate case regarding a utility patent that centers around transferring data between two devices. Court rulings and alleged infringements in different markets all over the world make this a difficult one to get your head around. 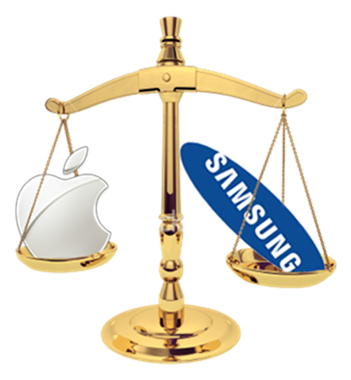 As a company, Samsung has already told the world that they believe the major rulings are inaccurate and that Apple is guilty of a blatant "abuse of patent law", but unfortunately for them, it’s the delivered verdict that actually matters, not their own rather biased opinions. To add to their ongoing woe, Apple has also now taken the step of amending a complaint they they have already filed with the District Court of California to include additional Samsung devices that they believe also infringe on their patents. The update to the filing has been made to included the extremely popular Samsung Galaxy S III smartphone as well as the surprisingly successful Galaxy Note ‘phablet’ device. Although centered around held patents and their potential abuse by Samsung, this is an entirely different case to the recent trial that has been hitting headlines all over the world. Apple began this process seven months ago claiming that seventeen devices – now twenty one thanks to the updated filing – were in breach of eight of their utility-based patents. The four Samsung devices that have been added to the list include two variants of the Galaxy S III as well as the Galaxy Note smartphone and the Galaxy Note 10.1 tablet, three devices that have proved to be extremely popular in their respective markets amongst Android fans. Considering the iPhone and iPad are insanely successful devices, some corners actually find it difficult to understand where this venom is coming but Apple feels that they are suffering from, and can prove, irreparable damage from devices that breach their patents.